Easily load your Fixed Rate RSA Retail Savings Bond holdings to mirror those held at National Treasury. When loading your RSA Retail Savings Bonds, the invested rate will be automatically determined and added based on the investment date and product term. Bond Rates will be determined based on the investment date and term of the bond being inputted. 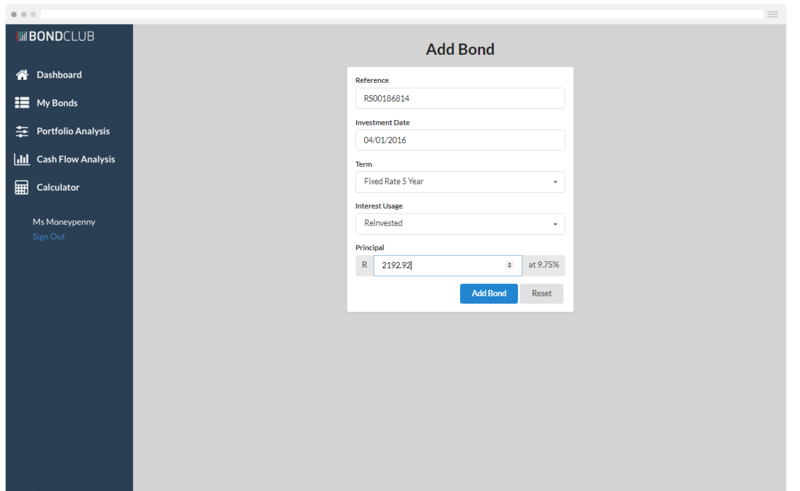 As you load your bonds, a comprehensive list of all bonds is created and overall portfolio metrics are shown. The detailed portfolio analysis provides aggregated portfolio measures such as capital, yield and life for each bond type and for the total portfolio. 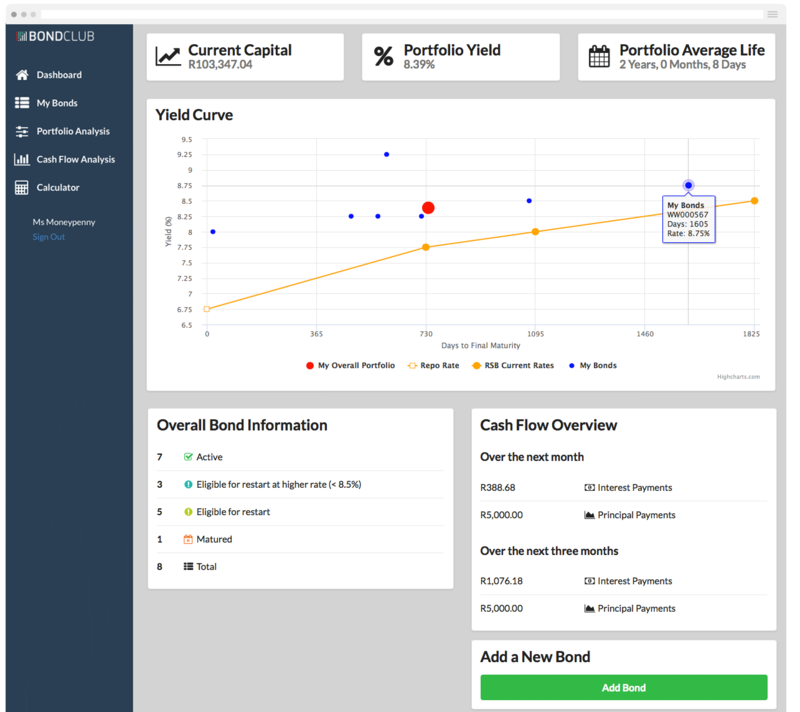 Detailed interest return measures are also shown by bond types held. A detailed report and chart of past and future Cash Flows for all active bonds in the portfolio is shown. Total, Interest and Principal Cash Flows are provided by payment date. The Portfolio Dashboard summarises all the above features into a single view. These include: Capital, Yield and Life Measures, Portfolio Yield Curve, Pending Cash Flows in coming months and Filters for bonds with particular current properties.